J-Tray is a specialty cable management product that provides greater support spacing and used for small to medium size cable bundles. Manufactured by Wiremaid Products Corp., this cable support system eliminates sagging or bending of cables when a J-Hook is sometimes used. J-Tray can be attached to a wide variety of structures, designed to alleviate damage and prohibit over bending and poor cable performance. 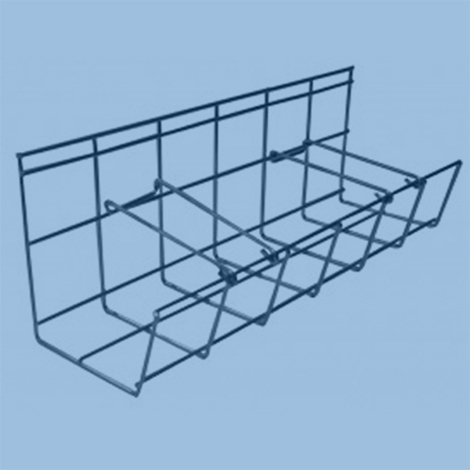 Constructed from high quality steel for strength and durability, the J-Tray improves cable protection and relieves stress on the supported cables and offers superior performance with easy installation. Sizes available: 22” or 48” long. Powder coated finish available in: yellow, white, chrome, black, red, blue and orange.